The new Youth I.D.E.A.S. 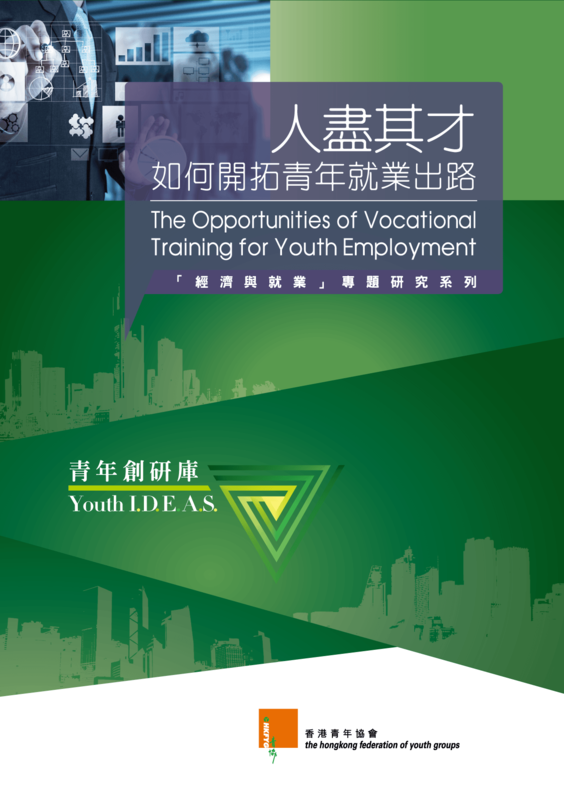 (established by HKFYG Youth Research Centre) has released its first study on the opportunities offered by vocational training for youth employment. Data gathered during an online survey found that only a minority (18.2%) think that vocational training educational credentials receive recognition in Hong Kong. 32.0% of the 941 14-25 year-olds surveyed have an impression that vocational training is for those “who are not able to go to the university”. 44.8% think that their prospects with vocational training would be worse than if they had an academic education. Focus group interviews with 21 young people were also conducted and many had misconceptions about vocational training or had insufficient information about it to be useful when choosing a career path.